This site is all about me. You may find my Cv and information about my projects. Clicking on Bilisim Summit 04, you may find the presentation file I prepared for Bilişim Summit 2004 which I was invited as a speaker. For this presentation I record the video with my video camera, than I went to Neo Reklam in order to cut and arrange the video scenes. The story is all mine in all aspects, since I did not have any program to arrange the video record, I asked their help. Clicking on Projects, you may have the information about my projects. While I was working for Perfetti Van Melle Türkiye to be centralized I implemented Windows 2000 terminal services. Microsoft Turkey chose this project as a success story. to watch the video. If you have any questions please feel free to ask me. You may reach me via my phone numbers or my e-mail. Microsoft Certified Business Management Solutions Specialist in Axapta 3.0 Installation&Configuration. 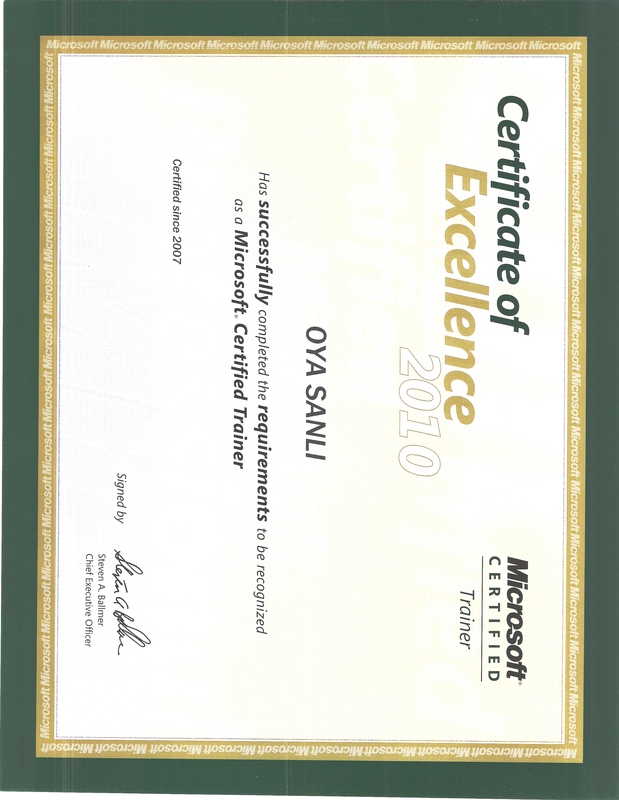 Microsoft Certified Business Management Solutions Specialist in Axapta 3.0 Trade &Logistics.